In this article, we’re going to take a look at what we think are some of the best Sketchup plugins! These are mostly geared towards architecture use (since that’s where my background is), but you may find them helpful even if you use Sketchup for other purposes. Let’s get started! 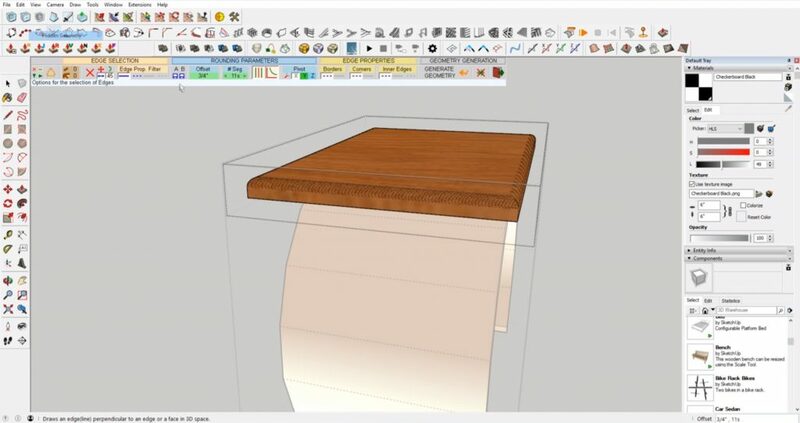 Looking for an easy way to add a beveled edge to an object? Try the Joint Push Pull plugin to click and drag a surface to make it rounded. 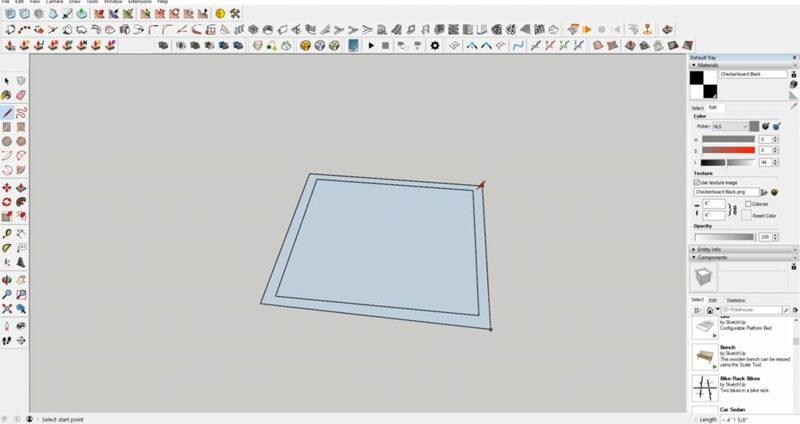 Select the “Round Push Pull” option and you can extrude a surface to have rounded corners instead of hard edges. You can also use this plugin to extrude curved or smoothed surfaces. For a more detailed tutorial on how to use this plugin, check out this tutorial. We highly recommend any of the Freedo tools because they create some of the best Sketchup plugins. They are easy to use, well made, and most importantly- free! Similar to creating beveled edges, this Freedo plugin allows you to round just the edges of a surface. This may come in handy if you want to round the edge of objects like tables or countertops. Unlike the joint push pull option, this plugin gives you the ability to get a hard edge in one location and a rounded edge in another. There are many options to customize like offset, edge parameters, and rounding parameters. If you are unsure what each setting does, just play around with them until you get the look you want! This plugin takes selected line segments and groups them as one item. 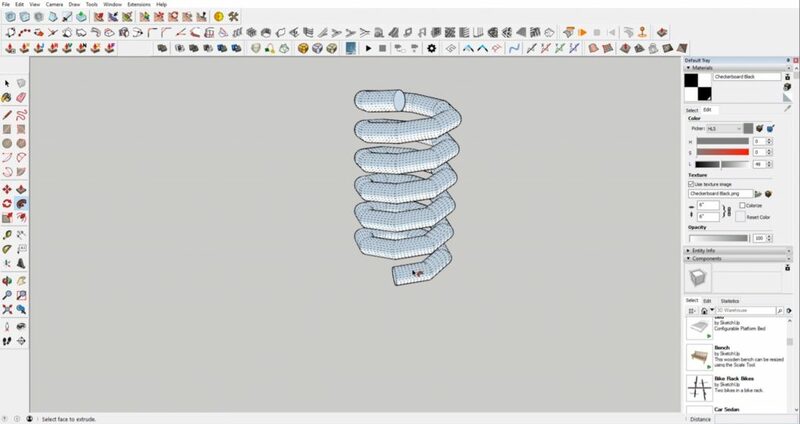 This is a great tool to use if you want to connect a long string of line segments that make a curved or spiraling shape. With the weld tool, you can easily extrude or use the “follow me” tool along a curved path without having to select every line segment. Curviloft is another Freedo6 plugin. It adds really needed functionality that makes it one of the best sketchup plugins. 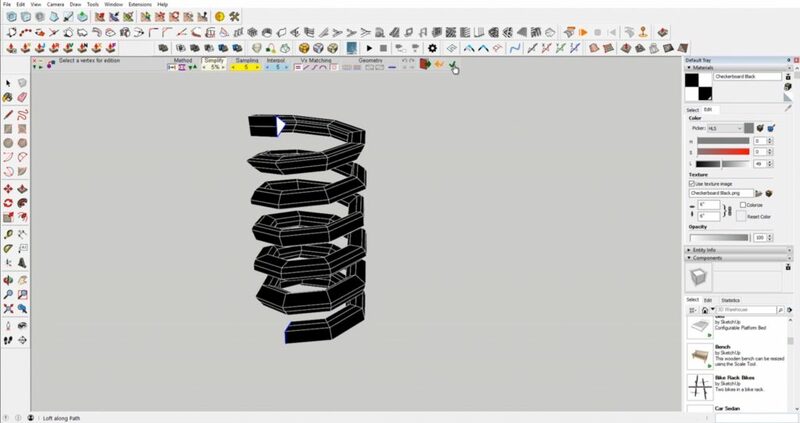 With Curviloft, you can create an extrusion that begins as one shape and ends as another. First, select your path. Then select your starting shape and finish by selecting your ending shape. Hit “enter” when you finish making your selections to generate your shape. If you’ve ever imported a DWG to Sketchup, you may have had some trouble closing up walls because your lines end up in different planes. A simple solution is using the Eneroth plugin. Simply select your lines and then navigate to “extensions” > “eneroth flatten to plane.” Select the plugin and all of your lines will be on one plane! Another alternative to using the Joint Push Pull plugin to create curved edges is Artisan. Once you have the plugin installed, select the cube icon in the menu that says “subdivide and smooth.” This will take any hard edges and turn them into a smooth surface. There may be a few areas that need additional smoothing, but this plugin gives you a great starting point! 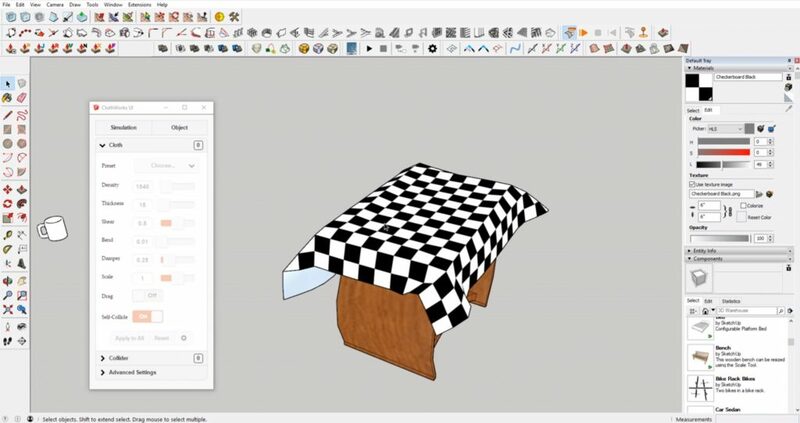 This plugin will allow you to take a flat surface and drape it over another object to create the appearance of fabric. First, right click on the object you want to drape and select “ClothWorks” > “make cloth.” Then, right click on the object you want to drape your fabric over and select “ClothWorks” > “make collider.” Use the UI toggle tool in the menu to customize options. Right click on your fabric and make sure you select “ClothWorks” > “1 cloth” > “simple grid.” Use the simulation tool next to the UI toggle tool to drape the fabric. When you are happy with the way it looks, click the stop icon to stop the animation. 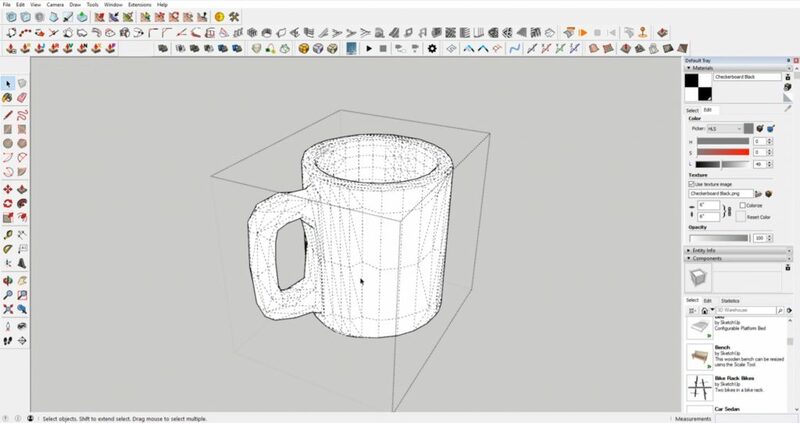 Which sketchup plugins and extentions do you think are the best? Let us know in the comments! 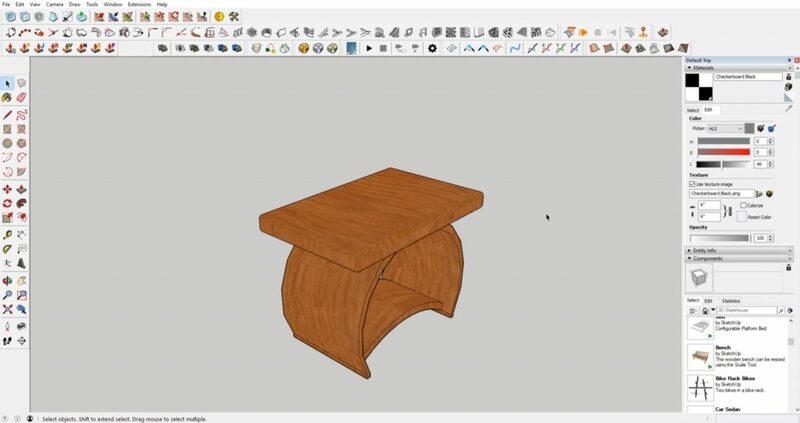 Be sure to check out our other tutorials if you’re looking for more great tips and tricks for Sketchup.